Madison, Wis. (September 18, 1999) - In a three-driver battle, Jerry Gille edged out Mark DiMaggio and Ryan Hanson for the late model championship at Oregon’s Madison International Speedway. “Coming into Friday night, we knew we really had our work cut out for us. We knew we had to go there and run hard and fortunately, we finished in front of him (DiMaggio),” Gille said. 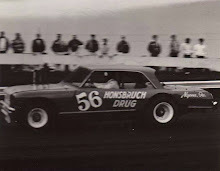 Going into the 40-lap finale a week ago, DiMaggio held an 18-point lead over Gille and a 58-point advantage on Hanson. That lead disappeared by the time the feature had rolled around. Gille, of Loves Park, Ill., held a slim lead after DiMaggio’s car came up 4 pounds too light. 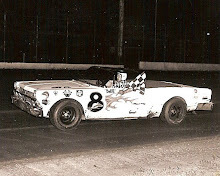 DiMaggio's car had a new engine after he blew his in the second of two Labor Day 50-lap features. 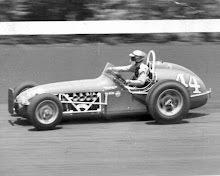 DiMaggio’s qualifying time was thrown out, and the Oregon driver had to start in the rear of the field. “They threw the book at us,” DiMaggio said Thursday. DiMaggio caught up to Gille by the 32nd lap, but the cars tangled in turn two, forcing a caution and sending them to the rear. Hanson spun out as he was trying to take the lead on lap 35. The Beloit driver dropped back and finished eighth. Gille finished 12th, but he held off 13th-place DiMaggio to claim the track title by four points. Todd Ambrose of Prairie du Sac took the sportsman title by finishing third, beating out Edgerton’s Scott Broughton. Columbus 151 Speedway: After pulling ahead of Mike Langsdorf in late August, Dousman’s Scott Patrick then pulled away, winning his second straight late model track championship Friday by 96 points over the Doylestown driver. 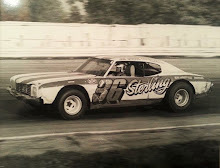 Baraboo’s Dan Howard won his first title in the street stock division. Oregon’s Dennis Gaserude took his third hobby stock title in four years. 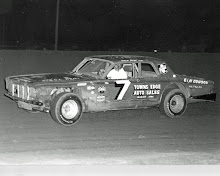 Gaserude also took the same division at Jefferson Speedway, which races Saturdays. Dells Motor Speedway: Montello’s Jeff Kendall, who won four features this year, came away with the late model title. John Raupp of Reedsburg won the super stocks race, and Tomah’s Tim Myer won the pure stocks race. 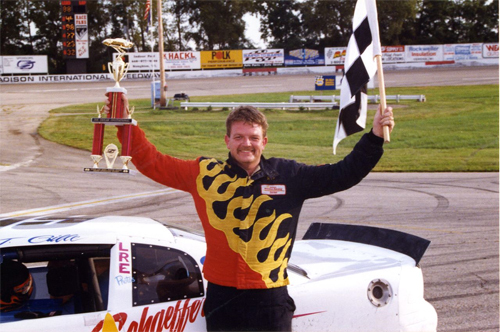 Jefferson Speedway: Former track champion Ron Bishofberger of Fort Atkinson clinched the late model title with his second-place showing Saturday. Bishofberger held off defending champ Andy Wendt of Watertown, who placed third in the race and finished 10 points behind on the season. Dave Oswald of Cottage Grove won the sportsman division and Cambridge’s Justin Nottestad won the international title. Jefferson Speedway has one race to go this year, the 19th annual Wisconsin State Championships with $29,000 in prize money. The track opens at 3 p.m. today and 3:30 p.m. Saturday. Angell Park Speedway: Dan Boorse wrapped up his sixth career Badger Midget Auto Racing Association title by winning the Pepsi Nationals on September 5.